Italy: The Beauty of Knowledge is an exhibition promoted and financed by the Italian Ministry of Foreign Affairs and International Cooperation (MAECI) and carried out by the Italian National Research Council (CNR) with the contribution of the four main Italian science museums: Fondazione Idis-Città della Scienza (Naples); Museo Galileo (Florence); Museo delle Scienza (Trento); Museo Nazionale della Scienza e della Tecnologia “Leonardo da Vinci” (Milan). The main aim of the exhibition is to highlight, through its different sections, the “Renaissance Spirit” that is a vital and significant component of the past, but also as a driving engine for current research and innovation, and a cultural model to be disseminated all over the world. This is where the title, Italy: The Beauty of Knowledge, strikes in as a way of reflecting the exhibition’s attempt to engage the public in a journey through time, exploring research and innovation and its beauty, in the past, through the present and to the future. Italy: The Beauty of Knowledge offers its visitors a multi-layered story including a film that links the objects presented with the different elements of the exhibition’s themes. The film brings emotional scenes from places where research takes place and is directed by renown Italian Director, Stefano Incerti. The different links create a multi-sensory dialogue between visitors and the exhibition elements. 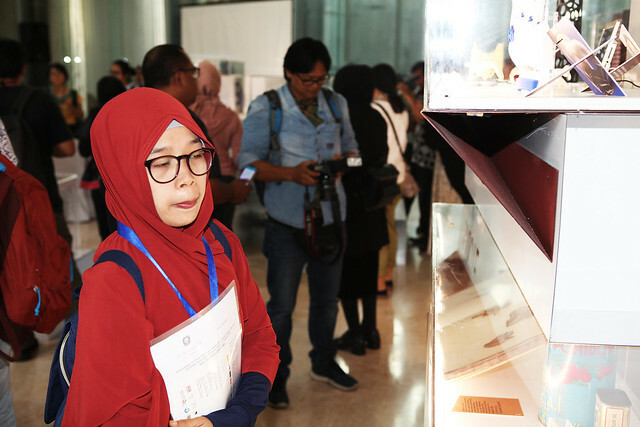 The exhibition was first inaugurated in Rome at the Farnesina in April 2018, and then it witnessed its first international inauguration at the Bibliotheca Alexandrina in Alexandria, Egypt in July 2018. Then the exhibition moved to Asia where it was hosted by the Italian Cultural Institute in New Delhi India in October and November of 2018, followed by the National Museum of Singapore in Singapore, in December 2018. 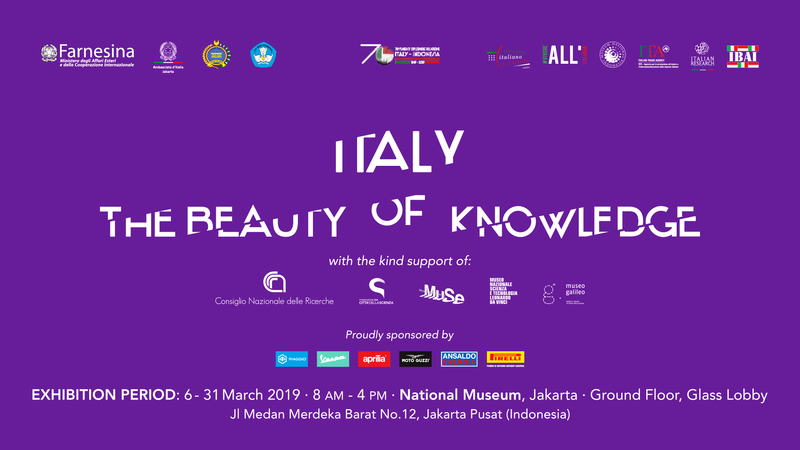 The first destination for 2019 is the National Museum of Indonesia in Jakarta, where the exhibition is organised in cooperation with the Embassy of Italy in Indonesia and the Italian Cultural Institute in Jakarta. Later on, the exhibition is expected to travel to Hanoi, Vietnam Guangzhou, China and Buenos Aires in Argentina.